On Television, More Transgender Characters Come Into Focus Now that it's more common to see gay characters on TV, is the medium turning to transgender people for fresh stories? NPR's Neda Ulaby looks at TV's crop of transgender and "gender fluid" characters. 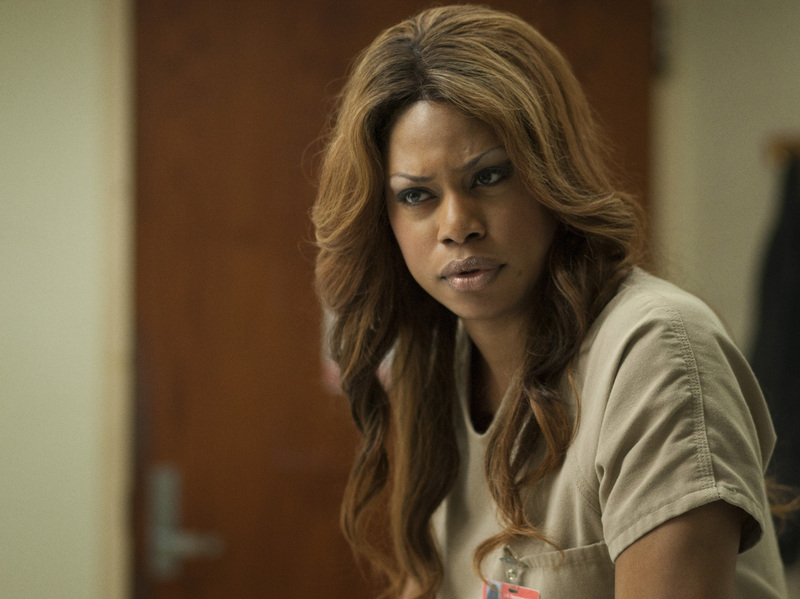 Laverne Cox plays Sophia on Netflix's Orange Is The New Black, one of several current shows exploring the lives of transgender characters. Over the past year or so, I've looked at how TV's expanding universe represents gays and lesbians and working women. This piece about transgender representation feels like an important part of the same project. It started when I realized a few shows I've enjoyed over the past 12 months (Orange is the New Black, House of Lies) as well as one I used to enjoy much more (Glee) feature transgender or genderqueer main characters. Once I watched the pilot of Transparent, a new series on Amazon that's just been picked up for a full season, it became clear that now might be a great time to consider trans representation on TV. This piece looks specifically at scripted dramas. The gifted actress Laverne Cox pointed out during our interview that for a long time, one of the only places to see trans people in popular culture was on daytime talk shows. And trans people have also appeared on reality shows, from Chaz Bono in Dancing With the Stars to Ru Paul's Drag Race, which recently had to apologize for using a term seen as a slur by many trans people. Focusing on scripted dramas meant thinking about issues such as the specificity and the politics of casting. Casting cisgender actors to play transgender characters is a contentious point for many within the trans and genderqueer communities. (The debate received a lot of attention when cis actor Jared Leto, was nominated for --and won-- an Oscar for playing a transwoman in the movie Dallas Buyers Club.) Scripted drama is also a way to look at how trans people are being written into the narrative of American culture, not as marginal outsiders or issue-related guest stars, but as valued and beloved central players.